Used cars are the best kept secrets of the automotive industry. The lemon rumors and allure of a brand a new vehicle draw shoppers away from the pre-owned lots. 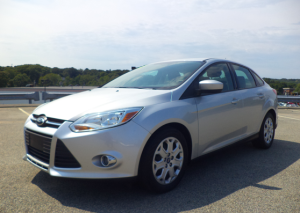 Quality used cars have a lot to offer, often even looking, and driving, like new. Why pay the price of a new car when you can get nearly the same vehicle, but for a fraction of the cost? Shop with Quirk Pre-Owned, a used cars dealer serving Quincy, and save money. Its no secret that used cars are less expensive than new vehicles. Between the down payment and monthly payments, the cost of buying a new car adds up quickly. Find a used car within your price range and drive off in a quality vehicle that doesnt continue to cost you an arm and a leg. Visit Quirk Pre-Owned, a Quincy area used cars dealership, to test-drive a quality pre-owned vehicle. Certified pre-owned vehicles eliminate some of the guess work when shopping for a used car. Certifeid vehicles are thoroughly inspected and come with perks to assure you that your vehicle is road-ready and will be for years to come. Some benefits included with most certified pre-owned vehicles include: later models, relatively low-mileage, no history of damage, rigid inspection process of mechanical and cosmetic, covered by a warranty that extends beyond the original factory warranty, and sometimes special financing options. When you shop for a new vehicle, youre fighting a losing battle against value. Immediately after you drive your new car off the lot, its value depreciates. Typically your vehicle will lose 30 percent of its value within your first two years of ownership. We get more for your money when you shop for a used car. Check out Quirk Pre-Owned for a test-drive and find the true value of a car. For more information about our used cars dealership serving Quincy, or call us at (877) 466-1512 today!